The coffee table magazine has been an intricate part of the American household since the 1940's. For several generations popular magazines have encouraged viewers to visit news stands while loyal subscribers have faithfully awaited their monthly subscriptions via the mail. In my early years while growing-up my parents favorite magazines were Readers Digest and Look Magazine. I learned much from those informative magazines. 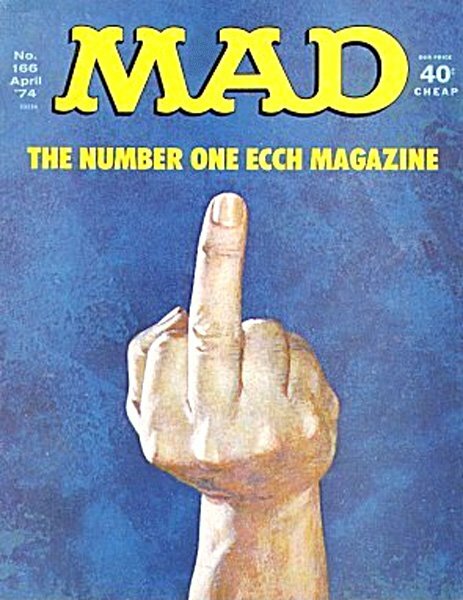 Sometimes later and during the 1970's, I can remember subscribing to at least ten different publications during the same period. But now with the internet touting updated information at breakneck speed, those once valuable sources of fashion, news and lifestyles now reflect our Pop Culture deriving from that era. Mad Magazine's popular cartoon character Alfred E. Newman not only ran for President, but he also taught us the middle finger salute used for expressing our displeasure during a busy commute. 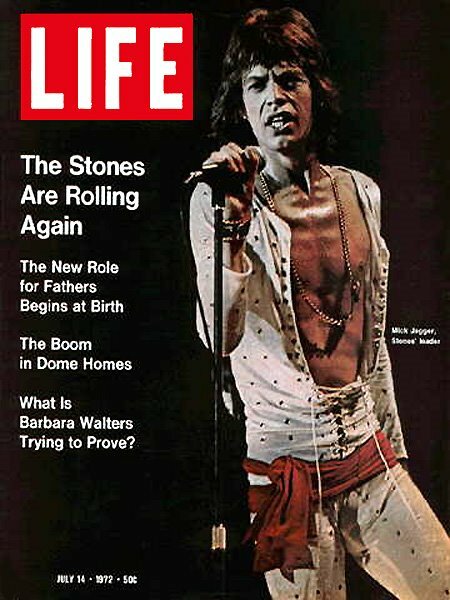 When The Rolling Stones popularity reached the cover of Life Magazine, The Christian Science Monitor received a flood of new subscriptions coming from disgruntled Life subscribers. Remember the scruffy photograph of The Rolling Stones in newspapers across the country asking, "Would you let your Daughter date a Rolling Stone?" Time Magazine traditionally covered world news events and primarily focused on the global political climate. 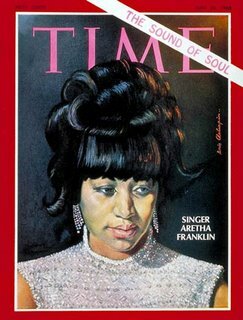 But when the Queen of Soul was featured on the cover of Time, somewhere in the high heavens vocalists Bessy Smith, Billy Holiday and Ella Fitzgerald were applauding in approval. 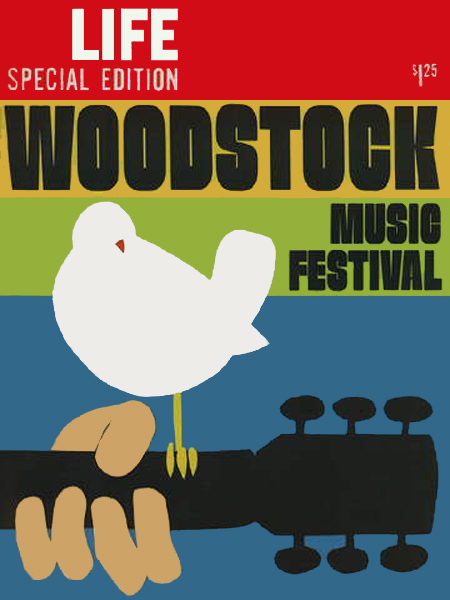 There was one single event that all baby boomers completely agree changed our society and that was the three day love fest known as Woodstock Music Festival. 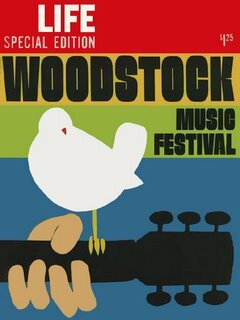 Remember the concert film footage of Joe Cocker, Ten Years After and Sly & the Family Stone? Their performances ranks as the best even by today's standards. Of course, you know that I couldn't resist recognizing the ever-present Men's magazines that featured ads of new shaving creams, Men's colognes and sports cars. Somehow I couldn't convince my Mom that I purchased these magazines because of the stimulating editorials and articles featuring modern issues. That's when she'd cross her arms in disgust while staring at me and say, "Okay then, why do you hide these magazines under your mattress?" Blues Master Furry Lewis sings and displays his versatile picking style while producer-songwriter Don Nix accompanies on acoustic guitar. Every year during the first week of March, I am reminded of my annual birthday that just so happens to be the same birthday as Blues Legend Furry Lewis (deceased 9/14/81). Now, that may not mean anything to the casual observer but as a music lover it connects me personally with Furry Lewis because he and I are also from the same hometown, Memphis, Tennessee. In spite of the fact that I've been removed from the city of Memphis for over 20 years now, I'm still consumed with fond memories of the heydays of the local music scene. There was never a dull moment in the world of Memphis Music. During those memorable days my path would cross often with Furry Lewis at various music functions however we never actually met and he didn't know me from Adam. But in the imaginary world, and in his own words he might have said to me, "I never paid you no mind" which was a Furry Lewis euphemism. He had a million of those phrases to offer. But Furry wasn't your cookie-cutter blues performer and displayed several characteristics that separated him from the pack. 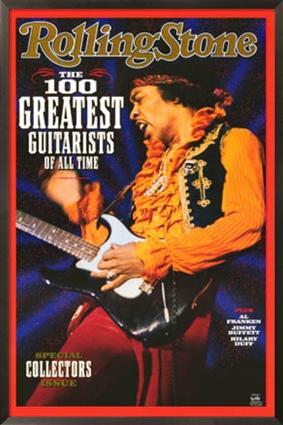 He was a small man, partially blind, with a wooden leg and known for pawning any of his personal possessions including his trusty guitar. 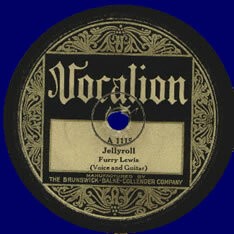 His music style featured a bottleneck slide guitar and complimented with songs of complex verses and jerky movements. Occasionally he would swing his arms in performance to express musical punctuation. The first time I saw him perform was with The Blues Caravan at the Ellis Auditorium Music Hall in Memphis during the 70's. 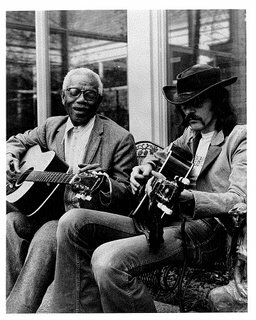 There he performed with other Blues Legends; Bukka White, Hammy Nixon and Sleepy John Estes, Mose Vinson, Ma Rainey, Big Sam and Piano Red. I feel fortunate to have witnessed these legends in their prime. Furry was well recognized in the world of Blues Masters yet like many of his contemporaries, he never received widespread success. Perhaps the closest plateau to commercial success was when he was a guest vocalist on Don Nix's Enterprise album (Stax Records), "Hobos, Heroes and Street Corner Clowns." There he sang with Nix on the noted track, "Whey I Lay My Burden Down." The song received national airplay at FM Rock stations across the country and introduced him to a new generation of music enthusiast. Another milestone was when Furry opened for The Rolling Stones at their Liberty Bowl performance in 1976. Perhaps his most memorable appearance was on national television on "The Tonight Show" with Johnny Carson. Sitting beside Carson at his desk, Johnny leaned over and asked him, "Furry, at your age, why haven't you ever been married?" Furry pondered the question for a few seconds and then responded, "Why should I get a wife when my next door neighbor already has one."